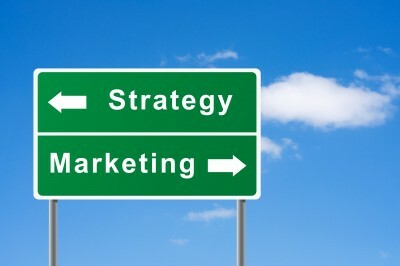 ← How Effective is Your Content Marketing Plan? Content marketing strategies aren’t limited to niche companies on the cusp of greatness. In fact, big brands like Red Bull and Colgate are realizing it’s a great way to gain customers and make them loyal ones. Just like fishing, if you have something good on the hook . . . the fish will bite, right? Companies need to have something to draw the consumer in. It could be humor and storytelling or it can be motivation and informational. Southwest Airlines went the comical route with their blog: Nuts About Southwest. Sometimes finding the irony in your product can resonate with the very consumers you are trying to reach. If you have already done the research on your target audience then you know what content marketing strategies to focus on. For the airline, it was humor. The company incorporates peanut graphics on the homepage as well as hilarious videos and employee spotlights. Now that they have them coming back for the fun stuff, they can also help the reader by adding travel tips, corporate community outreach and sustainability, in a nutty format of course. While Southwest Airlines may have conquered their audience with humor, Red Bull is tapping into their followers’ interests with storytelling and Colgate is keeping customers by using the basics. The energy specialists at Red Bull have somehow mastered content marketing strategies that build a lifestyle around the brand. They do this by using entertainment and motivation. They have coupled who their consumers are – adrenaline junkies and thrill-seekers – with the appropriate content. Spending a little bit of time on their blog will make you question if customers come there because of the drink or because of the action. Colgate on the other hand has molded themselves as the credible source for oral health care and hygiene, one of the most ingenious content marketing strategies out there. They haven’t tried to entice with fancy graphics, witty blogs or events but rather all the health information possible. It is a resource for their customers and many depend on it. Target has taken that concept and kicked it up a notch. They are using “A Bull’s Eye View” blog to give customers that unexpected content about many of the store’s products. A lot of people find it interesting to learn about the designer behind their favorite tee or celebrity. It’s simple but intriguing for their targeted audience. Now Kraft, on the other hand, has literally combined everything you could imagine about content marketing strategies and built their empire on it. Kraftfoods.com was launched in 1992 so you can imagine why they are experts at giving their customers what their looking for. The website offers cooking tips, recipes, an interactive community, and money-saving ideas. Because the company has focused so much time and energy on their content marketing strategies, the site has now become a serious money maker. So let us at Susan J. Campbell Copywriting Solutions be your guide through all the top content marketing strategies. We can take you, step by step, through the process of incorporating a variety of theses techniques into your unique content marketing plan. This entry was posted in Content Marketing, Marketing Strategy and tagged big brands, blog, brand, build brand value, Colgate, content, content marketing, content marketing strategy, Kraft, marketing, marketing strategy, Red Bull, search engine optimization, SEO, social media, social media campaign, social media strategy, social media tools, Southwest Airlines, Susan J. Campbell Copywriting Solutions, Target. Bookmark the permalink.